Every dental professional, recommends regular exams and hygiene appointments to help you maintain optimum oral health through a preventive program. Your regular 6 month exams and hygiene visits allow us to note any changes in your teeth and gums. This way we can catch problems when they are small and before they become difficult to treat, uncomfortable and often times more expensive to repair. It sometimes can indicate greater problems with your overall health. We compare regular dental visits to having regular maintenance on your vehicle, sort of like a tune-up for your mouth. We usually tailor and schedule the appointments based on each patient’s individual needs. 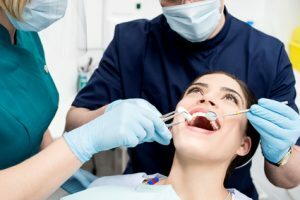 Depending on the state of oral health, some people come more frequently and others can wait a little longer between visits, although never more than one year. Patients are often concerned about what their plan will cover, and although plans may have a limit on what they will pay, this does not mean that is the best thing for your health.